Prime Minister Scott Morrison says he’s disappointed that an agreement could not be reached with the Labor party over a bill in the senate that would have removed discrimination against LGBTIQ+ students. The Prime Minister has offered to introduce his own private members bill into the lower house, challenging Labor leader Bill Shorten to allow MP’s to have a conscience vote on the issue. “I’m prepared to have this dealt with as a conscience issue in my party, and if he’s prepared to do the same thing, then where the parties have been unable to agree, let’s take the parties out of it Bill.” Morrison said throwing down a challenge to Bill Shorten. “Let’s let the elected members of the House of Representatives decide. 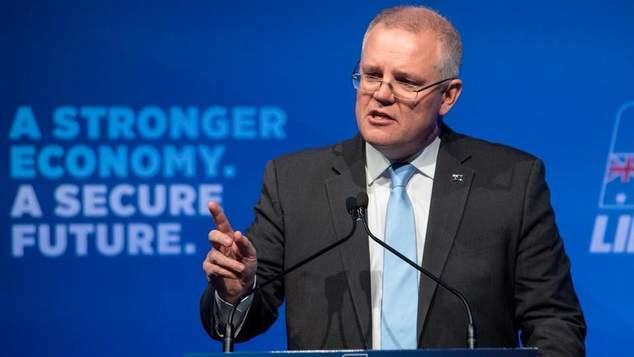 I’ll move this bill as the member for Cook, not as the Prime Minister, and I’ll participate in the debate, just like anyone else, and I’ll vote my conscience in that debate.” Morrison said. The Prime Minister said he was willing to give the issue “one more go”. Scott Morrison said he believed that many Labor MP’s would support the government’s proposition. Speaking to the media at parliament house said there were many sensitive issues that needed to be considered and he never wanted the issue to become a political football. “I never wanted this to become a political football, which means we needed to work through some sensitive issues. There are very sensitive issues that surround this discussion. There is the real issue of discrimination against anyone, but particularly children. There are also the very real and principled and conscience issues that relate to issue of religious freedom.” Morrison said. Morrison said he was disappointed that the Labor party had not worked with them to reach a resolution that would have allowed a bipartisan resolution. The Prime Minister said people should remember that the contentious provisions in the legislation were introduced by the former Labor government. “There should be no discrimination against children. Remember that the fact that there can be is a result of the laws that the Labor party introduced when they were in government. They put these laws in place. So the amendments that would be needed would be needed would be – to Labor’s laws that allow such discrimination.” Morrison said. Asked if he would also allow a conscience vote on the issue of how teachers and other school employees who face similar discrimination, the Prime Minister said he had only given a commitment to look into how the laws affect children. “I said I’d deal with the issue of children in schools. That’s what I said I would do. That is the commitment I made. That’s what I’m following through on.” Morrison responded. Earlier this morning the government and Labor agreed to delay further discussion on a bill in the senate until 2019. On Monday the government teamed up with the Centre Alliance to delay debate on the bill, yesterday an agreement was reached to resume debate this morning, however after the Centre Alliance announced they would support a proposed Liberal amendment to the legislation, the Labor party suggested they would be forced to vote against their own bill – believing that the amendment would actually increase the potential for LGBTIQ+ students to be discriminated against.